san jose newborn photographer • baby? what baby? | gooseandbugsphotography newborn baby and child PhotographyCustom children's photography, specializing in newborn portraiture, on location in San Jose, Ca and the surrounding Bay Area. san jose newborn photographer • baby? what baby? This sweet baby boy arrived at a very healthy 9 pounds 15 ounces and is such a sweet cuddly bundle of love. I was so happy to finally meet him and so grateful for the chance to hold him for a bit. The first baby of the house was making sure that nobody forgot about her too. Gotta LOVE a sweet gentle dog that photo bombs the newborn session. 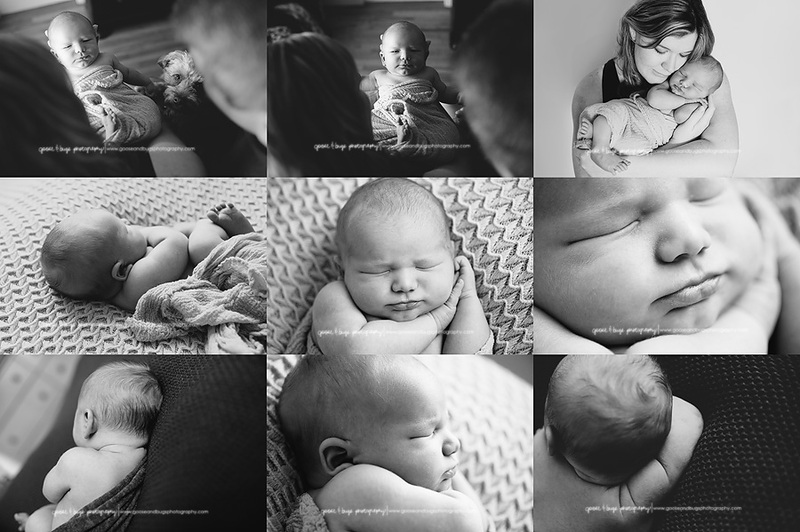 This entry was posted in newborn and tagged baby photographer, bay area baby photographer, bay area baby pictures, bay area child photographer, bay area newborn photographer, bay area photographer, san jose baby photographer, san jose newborn photographer | Bookmark the permalink. The photobombs are so perfect!! Love the lifestyle feel of these photos. LOVE the B&W collage! So simple and so beautiful! Love the images with the puppy. You take such great lifestyle portraits.